In 2018, The Hepworth Wakefield revived School Prints, a ground-breaking scheme set up in the 1940s by Brenda Rawnsley, where artists including Henri Matisse, Henry Moore and Pablo Picasso were commissioned to create prints as part of a project to bring contemporary art to school children. Set up by The Hepworth Wakefield as a five year initiative, for the second iteration of the project the gallery has commissioned prints from Fiona Banner, Sir Peter Blake, Francis Upritchard and Richard Wentworth. The prints will go on display at The Hepworth Wakefield from 19 January – 2 June 2019. 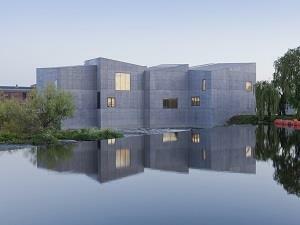 Building on the success of the first year of the project in 2018, which engaged over 1,000 primary and secondary school students from the Wakefield district, The Hepworth Wakefield has partnered this year with Turner Contemporary in Margate who will run a pilot of the project in their district, with support from Art Fund.